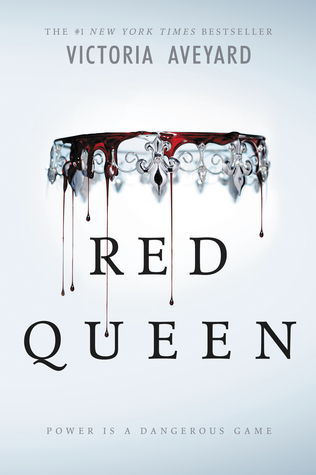 I finished reading Red Queen by Victoria Aveyard a while ago, and I finally have time to type up a review on it. Between my day job and trying to catch up on sleep, I’ve had a minimal amount of time to type up reviews. Thank goodness I finally have some time because I’ve been itching to type up this review. I actually borrowed Red Queen from my local library. I’ve been meaning to read it since it released, but I didn’t have time. I made some time, when I saw it at my local library. Red Queen is the debut novel to Victoria Aveyard’s Red Queen series and it had me from the first page to the last page. First let me say I read other reviews of Red Queen and it didn’t stop me from reading it. I didn’t read the other book that others read that said reminds them of the storyline that Victoria used, so I can’t compare the story lines at all. The main reason why I chose to read Red Queen because I wanted something different. I needed to get out of my reading funk and this book definitely did it. It also took me a way from the stress of reality for a while. Mare Barrow – the main character is fearless and tends to get her something in the worst situations. In fact, she’s going to get herself in the worst issue. She’s about to get close to the enemy. Cal – One of the Silver Princes who actually plays a major part of Mare being near the Silvers, but he wins me over a bit on how he takes care of Mare in certain times. Although, the other Silver he is being forced to marry is nothing but a evil witch. Grr! I could not stand her at all. The secondary characters – mostly the rebels that came forward. They are out for Silver blood. Unfortunately, it doesn’t always end well for them, but they do get revenge a few times. The storyline – I loved the Red vs. Silver in Red Queen. One is the lower caste and the other has god-like powers, which some are really deadly. Not all Silvers are evil and not all Reds are sweet and innocent. I hate to say it I even liked the villains in the story. The plot twist and the ending alone got me pissed off, but that is what made the book exciting. The ending alone is what almost made me fall out of my seat. Geez…I was pissed off. Victoria did an amazing job on leaving me for more after Red Queen ended. I really need to know what happens next, which is why the next book is on pre-order. I can’t wait for it to release next year. If you enjoy a great YA medieval fantasy story I highly recommend this book. I also look forward to reading much more from Victoria in the near future.